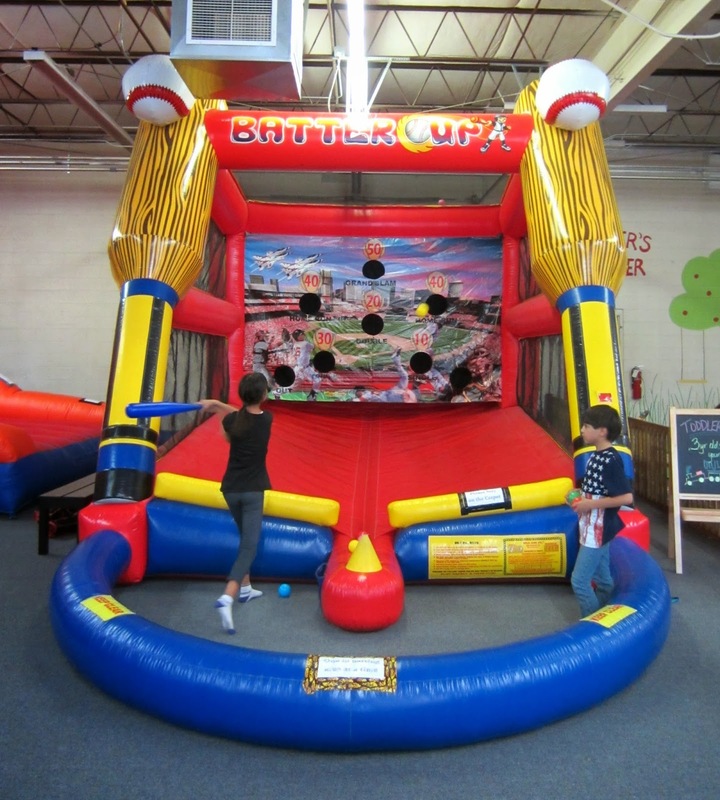 As mentioned last week, F&B and I got a chance to check out House of Bounce in Colorado Springs over the weekend, and the verdict is great! The kids took off to play the minute we got there while I met with the manager for a quick tour of the facility. 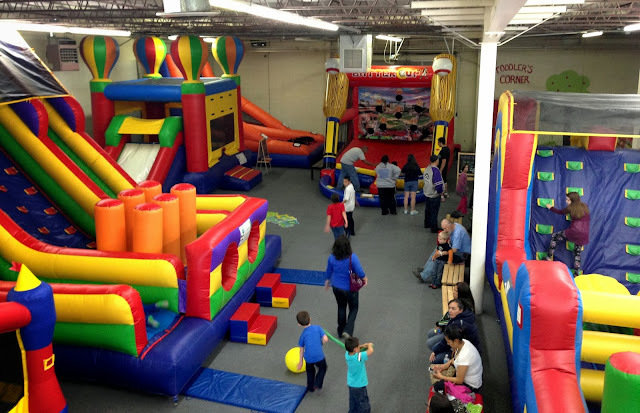 House of Bounce is divided into two areas as they recently expanded into the building next door. 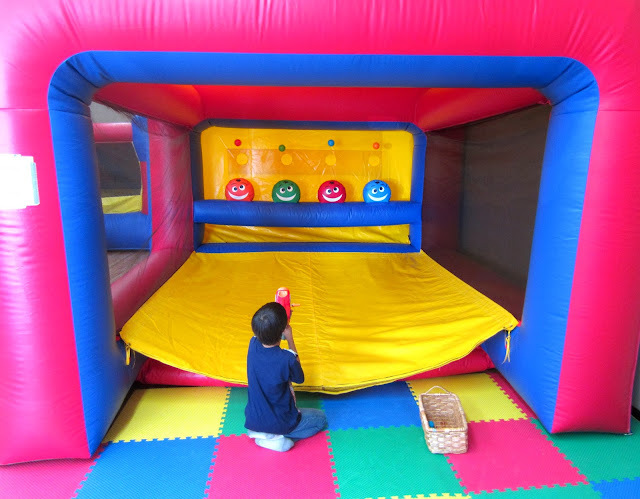 The main area includes multiple bounce areas--a big slide and climbing wall combo, a bounce house with a basketball hoop, a velcro wall, a baseball area, and an obstacle course race. There is also a toddler corner specifically for the 3 and under crowd while a second mini bounce house is designated for 4 and under. The second room includes another big slide, a smaller bounce house, a toddler dress up corner, and Ben's favorite, a shooting gallery with balls. 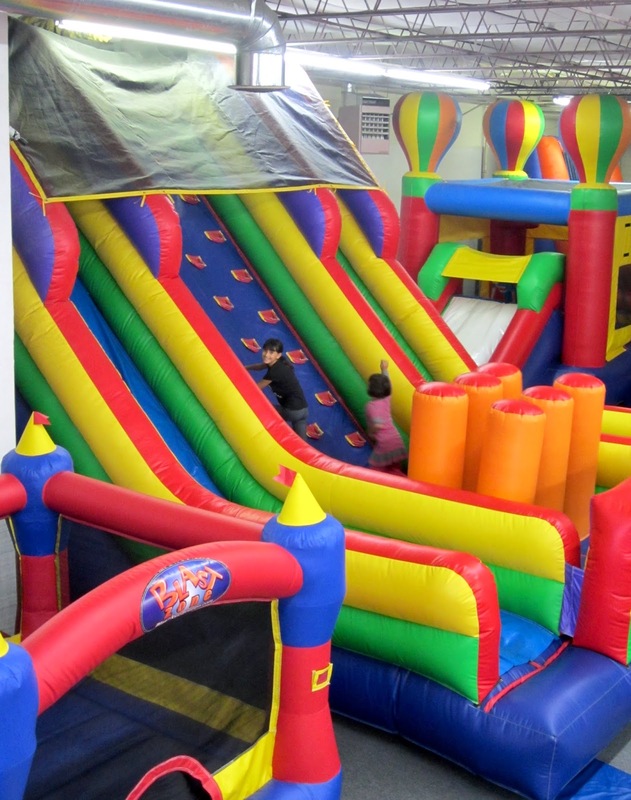 Besides the inflatables, House of Bounce hosts three party rooms for every size group and a cafe area that overlooks the main room. The cafe provides the perfect view to watch older kids play while relaxing a little ways away from the excitement. Free wifi is also available, which I will definitely be taking advantage of on our next visit. What else did we love? The cafe selections are very reasonably priced and they had great coffee options. House of Bounce is also the largest Melissa & Doug retailer in Colorado Springs, I loved browsing the selection. Everything is included in admission prices, except for purchasing food and the massage chairs for the parents. Admission is good all day! Need to leave for a little bit? All you need is a hand stamp at the door and you can return later in the day to play some more. Did I mention free wifi and a parents' area that is above the main floor? Currently, House of Bounce is offering a coupon for $1 any admission. For military families, just show your Military ID for an additional $1 off. 2360 Montebello Square Drive, Ste E, Colorado Springs, Colorado 80918. I was provided with information as well as a visit to the Colorado House of Bounce as part of my relationship with USFamilyGuide.com All opinions expressed are my own.